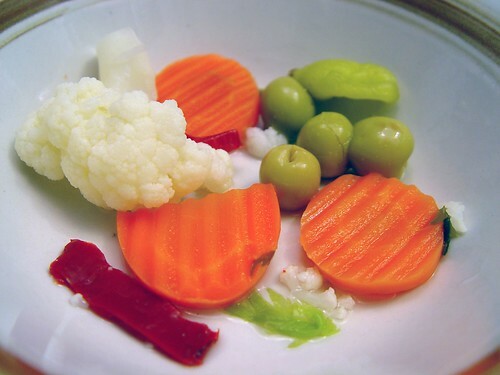 Yummy snack of Italian pickled veggies! I am impressed weekly by how much better other people are at this than I am. Um, something Christmas-related? It’s that tenticle again – this time it is arraying itself in its traditional mating colours. All dressed up and no where to go and no one to impress! It’s part of a Gingerbread house? Someone has been to Michael’s for holiday trimmings this week. Or to the bakery. Because it could be edible. Also? 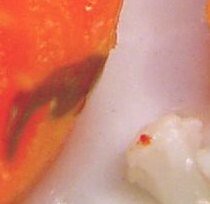 That lobster claw from last week were very convincingly disguised as a cauliflower and carrot in the uncut photo. Hmmm looks to me like part of a Gingerbread House? It looks delicious, whatever it is! 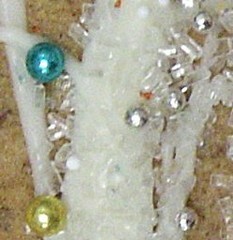 It is a gift tag thingy on a gift bag. or gift wrapping paper.